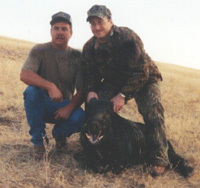 The Antelope Valley Hunting Club consists of two ranches, both located in Colusa County. The first ranch is roughly 2,000 acres and is located in the foothills 10 miles northwest of Williams, California. The second ranch is roughly 6,000 acres and is located 15 miles west of Maxwell, California. 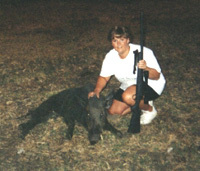 Both ranches are outstanding for doves, wild hogs and varmint hunting. Guides John and Tom have been the only ones hunting these ranches in the past. They know the property and the game that run on it. They have now opened the ranches for day hunts and are guiding hunters to their favorite places. Both John and Tom have taken trophy boars off these ranches. Call today to find out more about the hunts.